We booked the suites even if they were more pricey than the regular rooms as we wanted double beds as opposed to singles placed next to each other. The location is really beautiful and fairly convenient. The view from the balcony is superb and the balcony is spacious and nicely equipped with a comfortable sofa and table and chairs. If you have toddlers, though, it's probably better to book a room on the ground floor. One can drive (~5 minutes) to the Livadi beach below or walk to it (~10 minutes). We discovered a more direct path to the beach right next to the apartments. The place is close to the port, so, if you come by ferry, it is convenient (~10 minutes). It's a good place to explore the island. The host was very gracious and the cleaning staff very respectful, planning the cleaning around our schedule. Highly recommended! Beautiful place in a peaceful location. Clean and spacious. Lovely owner and staff all cheerful. Will return next year! Great location - easy walk into town fir beach and restaurants. The view, the location, the spotless attractive well equipped studio. Exactly as described and photographed. Friendly helpfull staff, the collection from and return to port at 3euro pp was ideal. Peacefull quiet location with easy 5min walk down to the beach. the beachside walk to the port and town centre took 15 to 20 mins. passing shops and restaurants on the way. George was very friendly and helpful. The view from our balcony was excellent. Apartment was spacious - except the bathroom and kitchenette. 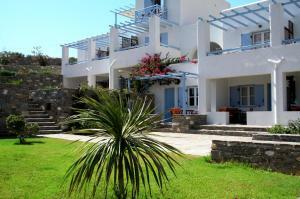 We will go back and stay again at Paros Paradise Apts any time in future. The view from the property is breathtaking, especially at night, the rooms of the apartment are fairly big and the outside relaxing area is very nice. The location was absolutely spectacular and just like the photos online. All the rooms have balconies overlooking the gorgeous harbour of Paros. We walked just a few minutes down to the beach below where we swam in the clear water. There was a bar there which provided free sun lounges if you bought drinks. The port was a 15 minute stroll away with restaurants on the way. We used the hotel pickup service for our arrival with suitcases and that was well with the 3 euros each. The room was very spacious and clean with a kitchenette. The staff, Pepina, was pleasant and helpful with information. Paros was a great island to stay on as it had plenty of sights, but was also less touristy than some others. We would stay there again. 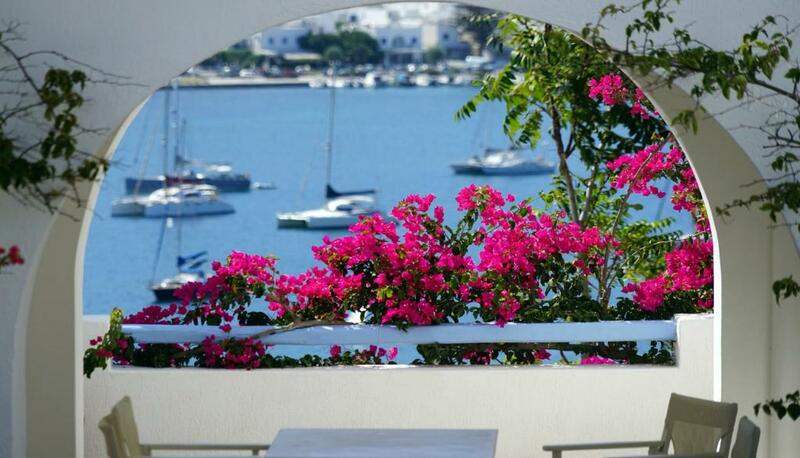 Lock in a great price for Paros Paradise Apartments – rated 8.9 by recent guests! One of our top picks in Parikia.Paros Paradise Apartments is a newly-built unit, ideally located 250 feet from the beach of Livadia in Parikia, and a 15-20 minute walk from the port and the island’s nightlife. 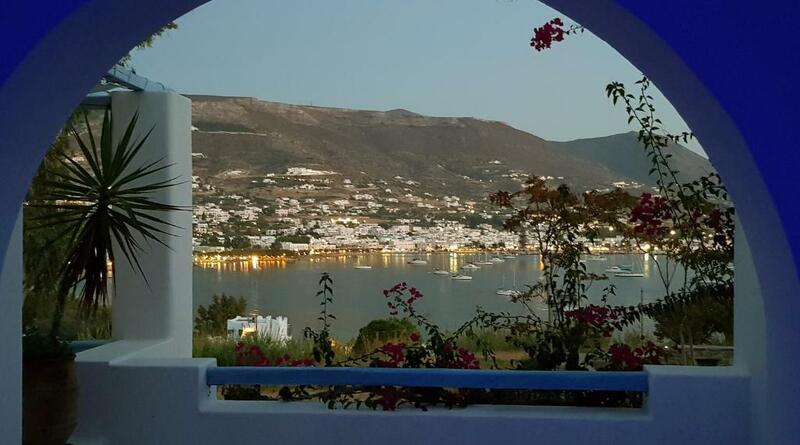 The position of the building offers panoramic views of the city and the gulf of Parikia. 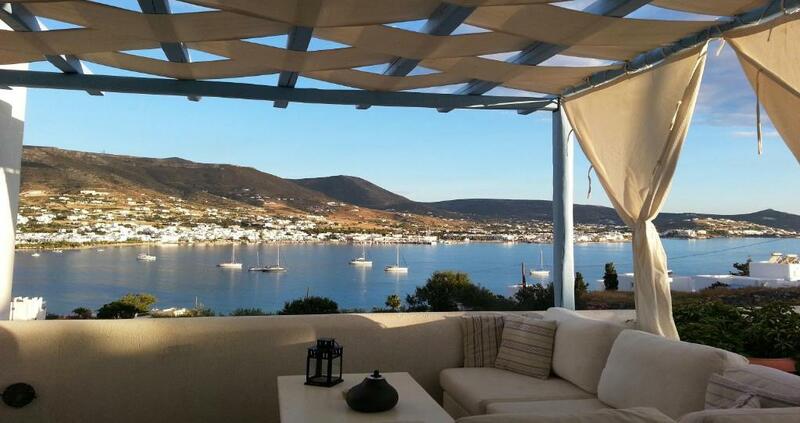 Paros Paradise Apartments are built with respect to the Cycladic tradition. All studios have sea-view porch, and come with private bathroom, air conditioning, satellite TV, refrigerator and kitchenette. Livadia beach is a long sandy beach well organized with lounge chairs and sun umbrellas, taverns and bars at the sea front. The beach is less than half a mile from the port and the town of Paros. 뀐 Located in the top-rated area in Parikia, this property has an excellent location score of 8.9! 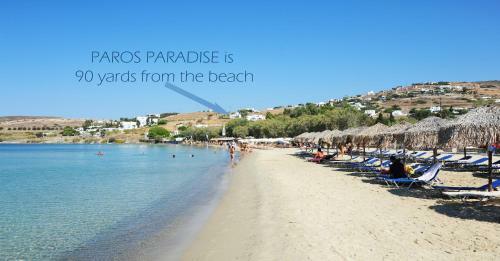 When would you like to stay at Paros Paradise Apartments? Featuring Aegean Sea views, this junior suite opens to a spacious, furnished veranda. It's on the 2nd floor and has a seating area with satellite TV and a fully equipped kitchenette. A hairdryer and a safe box are included. Double studio on the ground floor, featuring Aegean Sea views from its veranda. It offers a satellite TV and a fully equipped kitchenette. A hairdryer and a safe box are included. 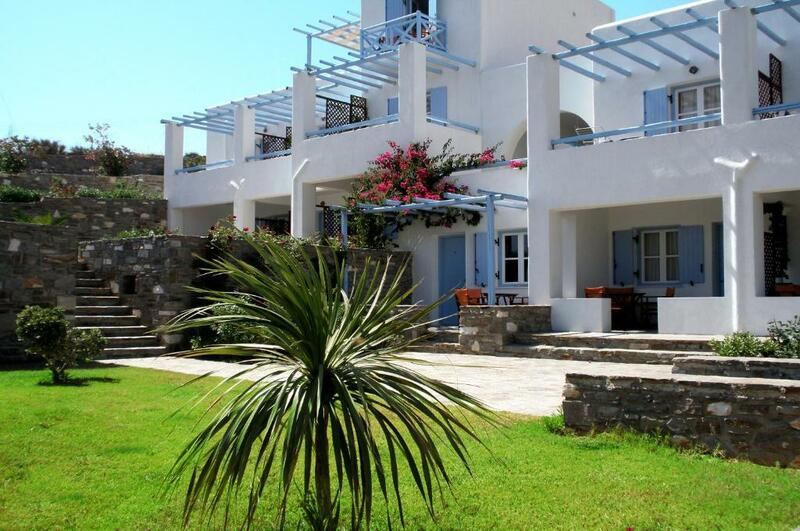 Triple studio on the ground floor, featuring Aegean Sea views from its veranda. It offers a satellite TV and a fully equipped kitchenette. A hairdryer and a safe box are included. Featuring Aegean Sea views from its veranda, this air-conditioned studio is set on the ground floor. It offers a satellite TV and a fully equipped kitchenette. A hairdryer and a safe box are included. Featuring two separate bedroom and a sea-view veranda, this air-conditioned apartment offers a satellite TV and a fully equipped kitchenette. A hairdryer and a safe box are included. Set on the ground floor, this air-conditioned studio features Aegean Sea views from its veranda. It offers a satellite TV and a fully equipped kitchenette. A hairdryer and a safe box are included. 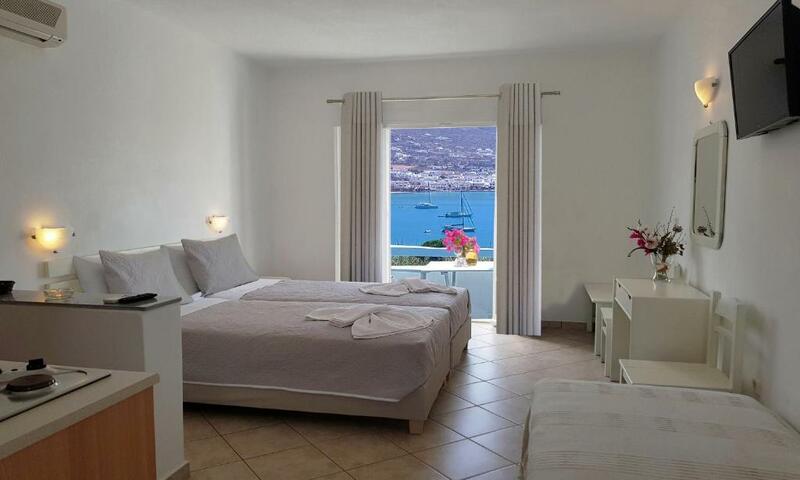 Set on the first floor, this air-conditioned studio opens to a balcony with Aegean Sea views. It offers a satellite TV and a fully equipped kitchenette. A hairdryer and a safe box are included. Opening to a balcony with Aegean Sea views, this air-conditioned studio offers a satellite TV and fully equipped kitchenette. A hairdryer and safe box are also included. Please note that this studio is set on the 1st floor. Set on the ground floor, this air-conditioned studio features Aegean Sea views from its veranda. It offers a satellite TV and fully equipped kitchen. A hairdryer and safe box are included. House Rules Paros Paradise Apartments takes special requests – add in the next step! Paros Paradise Apartments accepts these cards and reserves the right to temporarily hold an amount prior to arrival. Shuttle bus to/from the airport and to/from the Port is available upon request. Please inform Paros Paradise Apartments of your expected arrival time in advance. You can use the Special Requests box when booking, or contact the property directly using the contact details in your confirmation. We would have preferred a little more privacy on terrace. The view was spectacular and it was quiet. Kitchenette poor equipped. Not enough rails for towels in bathroom. NO wardrobe or mirror in 2nd bedroom. The bathroom, besides being accessed only from one room, is inadequately small and quite primitive, which accounts for the unpleasant smell. 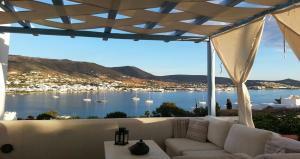 We had a wonderful time at Paros Paradise apartment over this summer. This place hold by a very nice charming family is like heaven on earth! Highly recommended! Beautiful appartments, great amenities and lovely staff willing to help with anything! The view from our balcony was picturesque and the location was perfect - walking distance to beach, shops and restaurants.